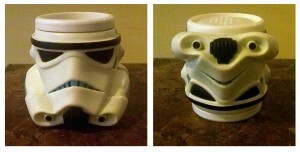 My kids have star wars drinking cups. I noticed something cool when I turned one upside down on the counter. Happy Koala.